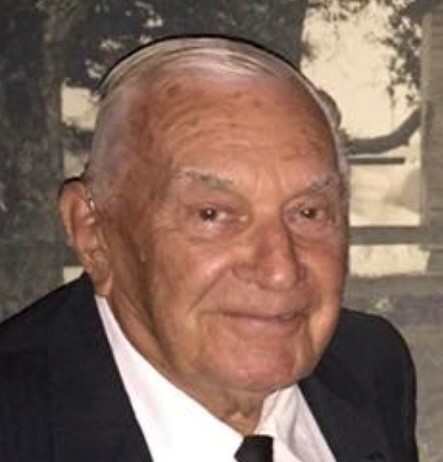 Obituary for Anthony A. Sirum | Kostanski Funeral Home, Inc.
Anthony "Tony" A. Sirum, 91, of Wonsey Road died Wednesday, January 30th 2019 at Buckley Health Care Center in Greenfield. Tony is survived by his wife of 70 years the former Amelia Szala, his son Adam and partner Lisa LaGue of Montague, his brothers Henry of Juno Isles, FL, Alexander of Okeechobee, FL, and Francis of Greenfield, MA and his grandchildren Bridget and Justin of Montague. Tony also leaves many nieces and nephews. He was predeceased by his two brothers, Edward in March of 2017 and Leon in December of 1992. Tony was born in Turners Falls on May 16th 1927, the son of Adam and Mary (Semaski) Sirum. He attended local schools and graduated in the class of 1945 from Turners Falls High School. While in high school he was in the glee club, played the harmonica, accordion and organ. After school, Tony would go home to work on the family farm. He always enjoyed music, square-dances at the Grange and polka dances. Tony was a self-trained mechanic and carpenter and showed those talents by fixing cars and pumping gas on Route 63 in Montague, the start of the Sirum business. Tony became known to the community when he became the John Deere Dealership in Montague in 1961 and the founder of Sirum Equipment Co., Inc. In his retirement years he was fortunate to spend many winters in Florida with his brothers and summers in his Montague home where the brothers would come visit. A memorial service will be held on Saturday February 9th at 10 AM at Kostanski Funeral Home 1 Kostanski Square Turners Falls. Calling hours will be on Friday February 8th from 5-7 PM at the funeral home. Burial will be in the South Cemetery in Montague in the spring. Memorial contributions may be made to Meals on Wheels C/O Life Path 101 Munson Street Suite 201 Greenfield MA 01301.